Have owned the Smith & Wesson M&P Shield 9mm handgun for about 11 months. 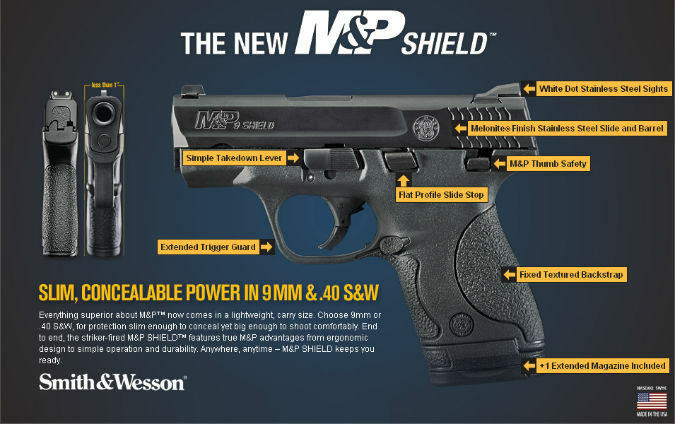 What makes the M&P Shield popular? 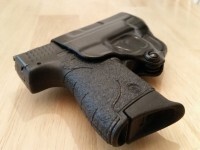 The M&P Shield is a lightweight, striker-fired polymer, with single stack magazine, and a thin design which is ideal for conceal carry permit holders. Conceals very easily and comfortable to carry either inside the waistband or outside on belt. The M&P Shield comes with 2 magazines, 7 round and 8 round plus one in chamber. Spare magazines are approximately $25-$32 depending on where you find and shop on line. 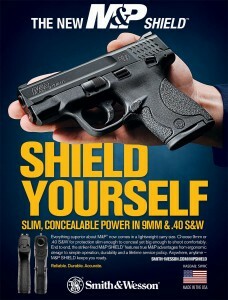 Holsters are widely available for the Smith & Wesson Shield, due to the M&P Shields popularity. The M&P Shield 9mm has shot flawlessly, with no jams and is accurate if you can adjust to the small thin frame and hard trigger pull. For the stock trigger from Smith & Wesson is very stiff, and has a very hard break when the sear spring releases. The main “con” is the stock trigger is very poor. Here in Georgia the trigger pull is only about 6.5 lbs. The trigger sear breaks so hard, when the sear spring releases it causes a very slight “sway” or movement in the gun from left to right. Even with a full 2 handed grip on gun. I don’t have this problem with any other handguns I own. Many complaining about shooting low left on target. 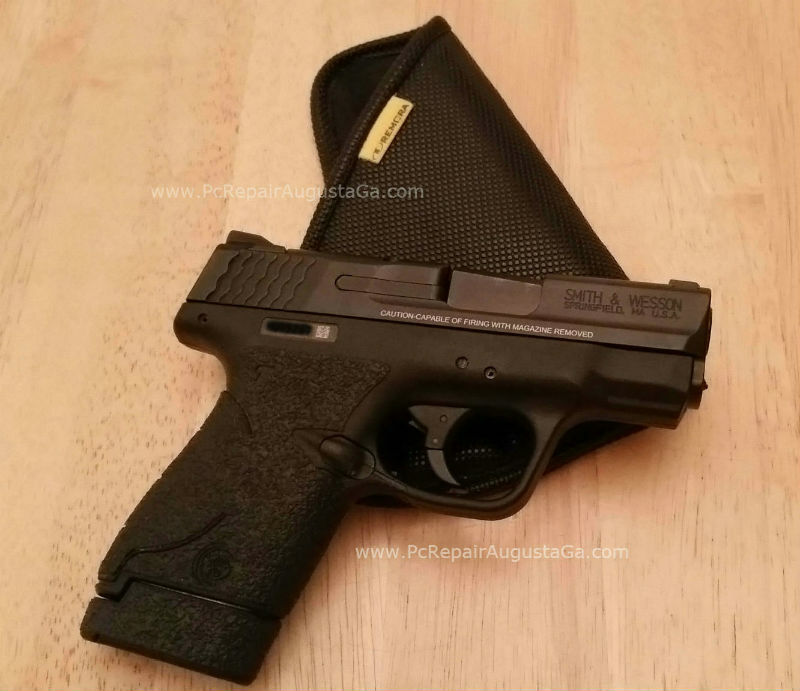 The M&P Shield you can find for $329-$399, and many are purchasing the Apex trigger kit for $100-$150 depending on the kit you choose. Adding the Apex trigger kit softens and smooth’s out the M&P Shields trigger. If you go the Apex trigger kit route, adding that cost to the M&P Shield you now have spent $479-$549. Add another $140 if you add a Crimson Trace Laser to it to. 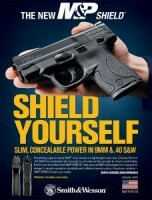 The Smith & Wesson M&P Shield has no rail for a cheaper tactical light attachment. My advice, if you are going to go the full Apex trigger kit route, shop Amzon or eBay for you might find it for a bit less. $100-$150 for an upgrade trigger for a couple new springs, sear and pin? Apex laughing all the way to the bank on this one. I have a Smith & Wesson SD9VE 9mm, Apex had a trigger kit for the SD9VE was only $26, just replacement springs no trigger or sear replacement. A low cost, nice upgrade at $18 was installing the rubberized Talon Rubberized Grips on the M&P Shield. Photo to the right is the rubberized version. Talon also makes a “granulated” texture design, many have said the “granulated” has a tendency to rub on there skin causing some discomfort. I have the rubberized Talon grips on my M&P Shield, provides a great feel, grip with no problems at all. Photo to the right is the M&P Shield with the Talon rubberized grip wrap, very easy to put on also. Just follow the directions entirely, especially cleaning the Shields grip with rubbing alcohol and warming the Talon grip once you install and pressing it in firmly. Smaller frame handguns take more “dry fire” and range time to figure out over a larger frame handgun. Add a very hard, stiff trigger compounds the problem. Finger placement on the trigger is important. I have medium to large hands. 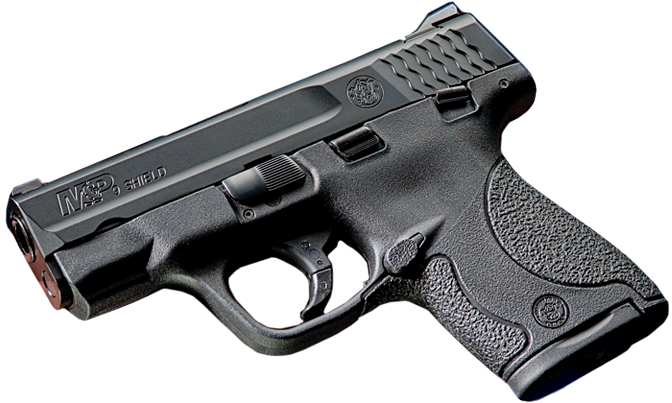 What has worked for me as far as grip goes with the Smith & Wesson M&P Shield – strong arm being light on grip, support arm firm and strong. Good support of the support hand under the trigger guard. Using my finger tip on trigger (as opposed to middle pad of finger), and a steady squeeze of the trigger. Focusing on front sight, and a focused squeeze of the trigger straight back through the rear sights. Also what I did figure out is shifting my hand a bit on the grip of the M&P Shield has helped out. With my support arm I’m pushing the grip of the gun farther into my hand. Shifting it slightly towards my index trigger finger. Almost where the back-strap of the handgun is shifted maybe 1/2″ in towards my strong arm index finger. This takes the gap I had between my index finger & trigger up, this has definitely improved my target shots. Don’t get me wrong, other than the stock trigger, the Smith & Wesson M&P Shield is a great handgun, easy and comfortable to carry.